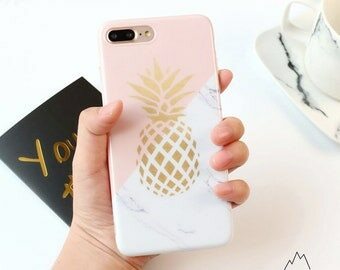 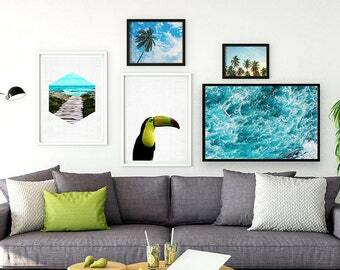 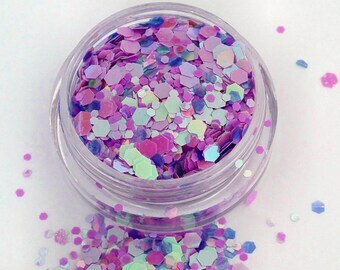 Like rainbows inside of rainbows! 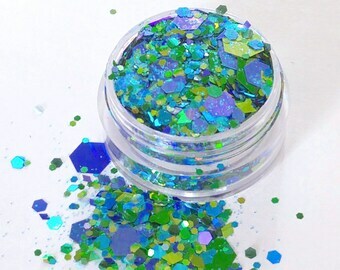 Our zodiac-themed mylar flake glitter is some of the most pigmented, amazing, reflective glitter we have ever seen. 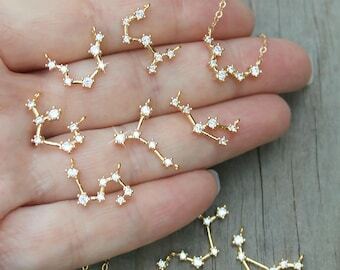 Irregularly & random shaped flakes. 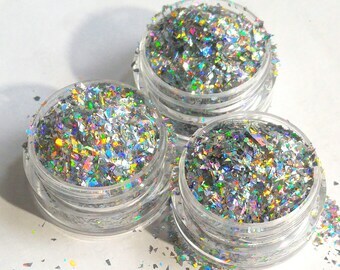 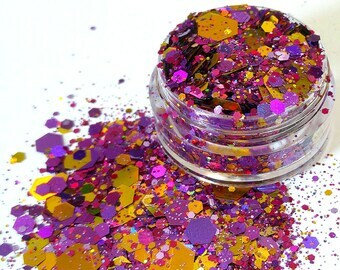 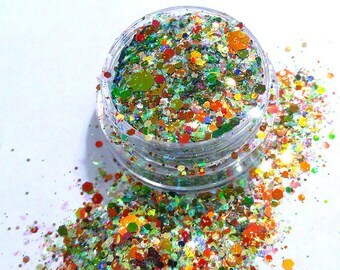 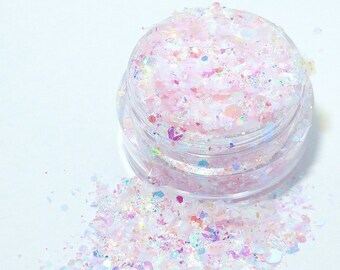 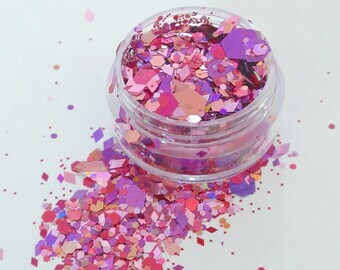 This is loose cosmetic mylar flake glitter for face, body, nails, hair, crafts, tumblers and slime. 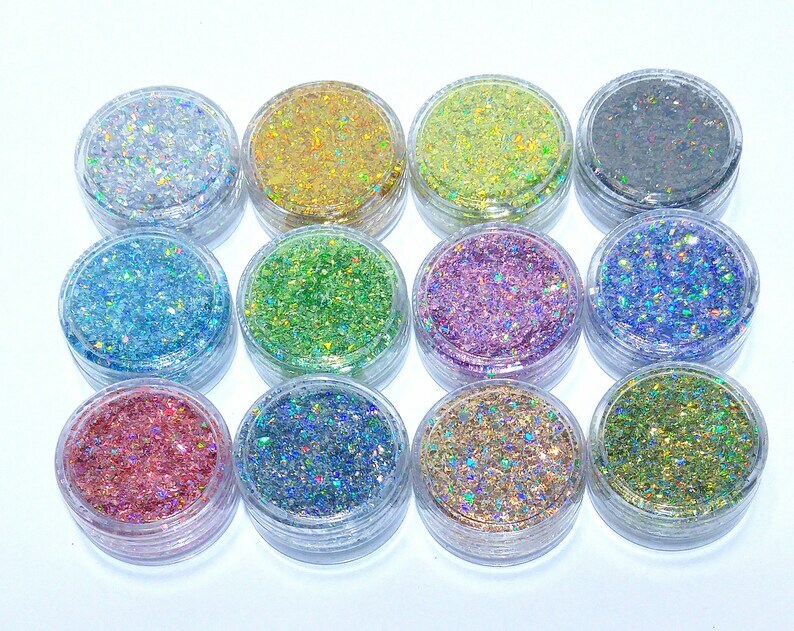 Available in 1gr sample pots (2.5ml), 2-3g pots & bags (5ml) and 10-11g jars (22.5 ml) - with bigger sizes coming soon. 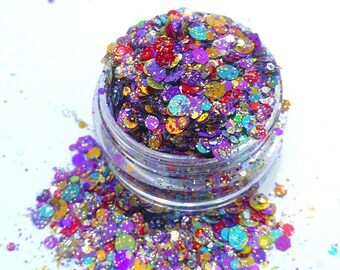 A 4ml pot set of all 12 colors is also available.